Make this easy crochet throw blanket today with this free beginner friendly pattern! 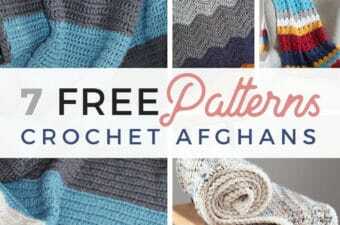 With it’s simple crochet stitches you will have a afghan made in no time at all! 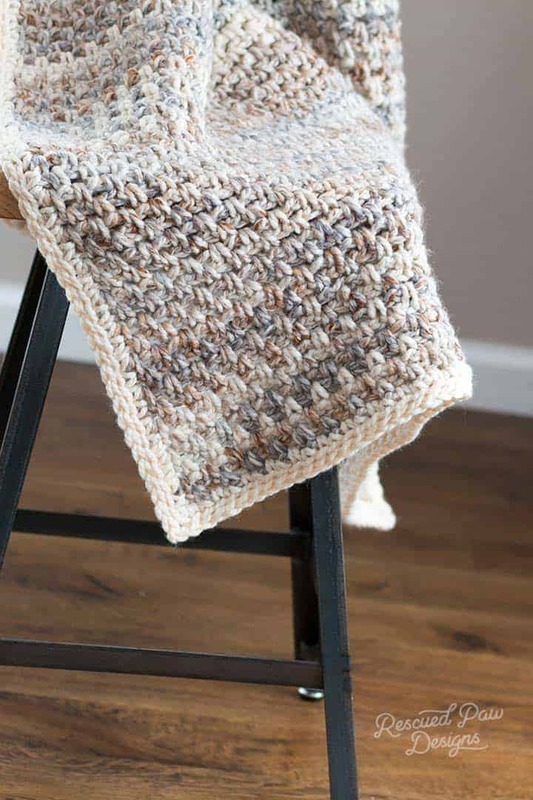 The Jane Throw Blanket is a simple crochet throw pattern that uses basic stitches in a way that creates an amazing looking texture! It really is the perfect crochet sofa throw to cozy up in! If you want to make one too then read on down to get the free crochet pattern for yourself! 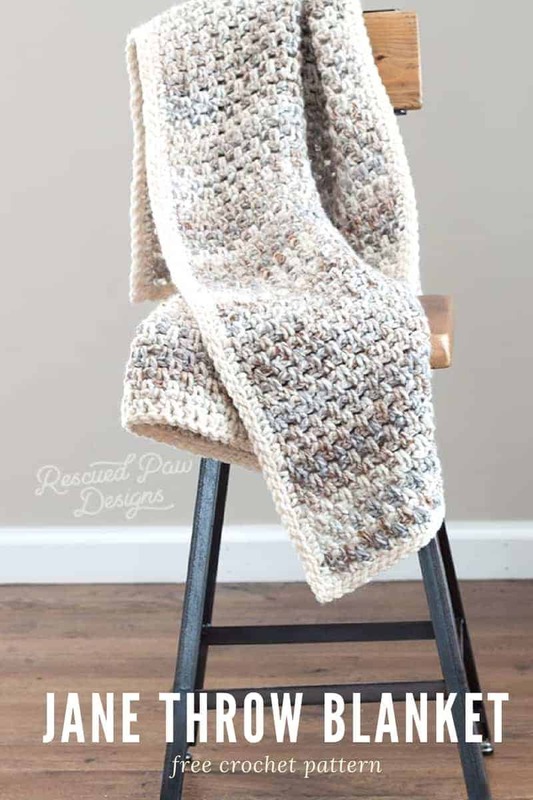 Use this simple pattern for all your crochet blankets and throws! 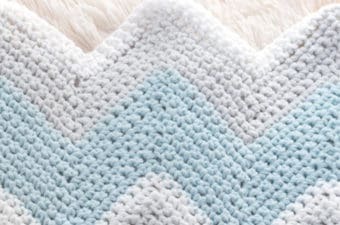 Make this afghan smaller and use it as a crochet baby blanket too! 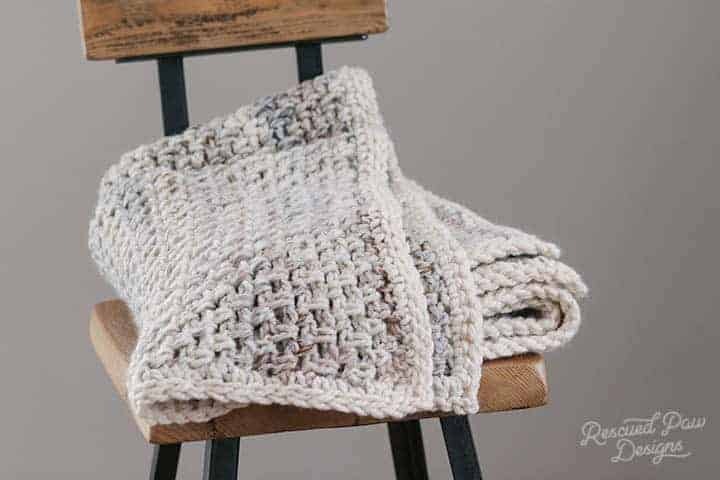 You can easily crochet this beautiful crochet throw blanket in just a few days! Since it is so cold in PA at winter time I knew that when designing the Jane Throw Blanket I needed wanted to use Lion Brand Wool Ease Thick & Quick (WET&Q). I love using this yarn for most of my crochet blankets and throws. 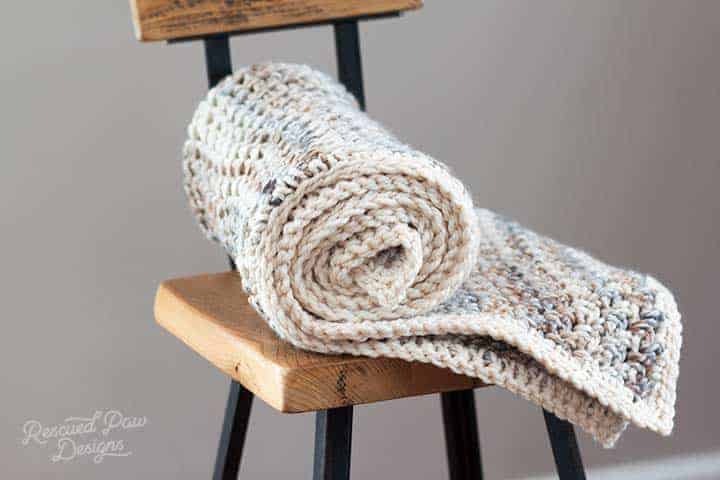 You could even use this yarn to make my Willow Throw Blanket too which is another chunkier throw that is perfect for winter time! I went with the color way Fossil because it is just simply gorgeous! This yarn has a pretty blend of neutrals and a hint of silver throughout making for a beautiful color. It really is the perfect color way to use because it can easily fit in with most any decor. 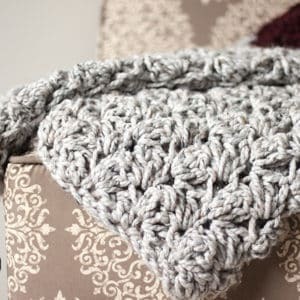 🙂 Not to mention the bulky yarn creates a pretty cozy chunky crochet throw which is perfect for snuggling! To start the Jane Throw you will just need to know how to chain and single crochet! Yep! That’t it! If you are new to crocheting this would be the perfect project to try. This pattern is a combination of single crocheting and chaining 1 which is called the sand stitch. I created a post about the sand stitch for those who would like a tutorial and or even a refresher on this beauty of a stitch. “Click Here” to find the sand stitch tutorial. 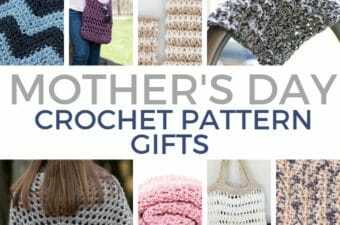 WANT A CROCHET KIT INSTEAD? Also I wanted to add that Lion Brand Yarn has generously made this into a crochet kit that includes the PDF version of the pattern and all the yarn needed! A full video tutorial can be found below! Subscribe to my YouTube channel so you don’t miss out on other free video tutorials! If you would prefer a PDF version of this pattern please head on over to my pattern shop! “Click Here” to shop. Otherwise read on down for the free pattern! Finished Size with border is approximately a 35″ width and 47″ height. Adjust size by chaining an even # to start. Gauge is 1 single crochet, ch 1, 1 single crochet for every 2″ (inches). Join in the Fisherman color at the end of the last row using my changing colors in crochet method which can be found “here“. Now: Chain 1, make (80) single crochets working down the long side of the blanket. When you reach the last stitch (corner) do 3 single crochets. Work (59) single crochet along the short edge of the blanket until you reach the last stitch. Make 3 single crochets in the last stitch to make another corner. Next make (80) single crochets along the other long side. Make 3 single crochets in the last stitch to form the corner. Finally, work 59 single crochets along the last short edge. To finish join with a slip stitch into the row below the border. Last: Chain 1, slip stitch into every stitch along the first long edge, including 1 of the corner stitches, in the second corner stitch work a slip stitch, ch 1, work a slip stitch, turn to the short edge and continue slip stitching across, work rest of the border in the same fashion. Weave in all the loose ends with a yarn needle or a smaller crochet hook. You probably should try this one too! You did it! The Jane Throw Blanket is now complete! 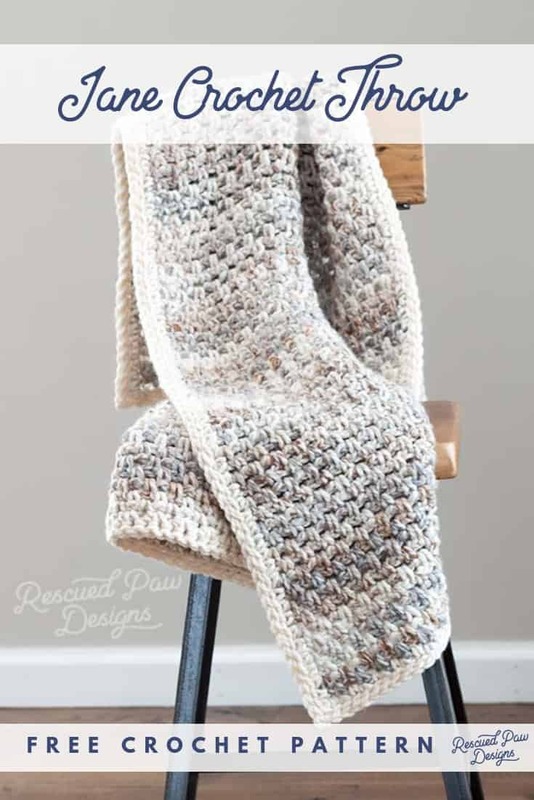 This really is a quick and easy crochet throw pattern! 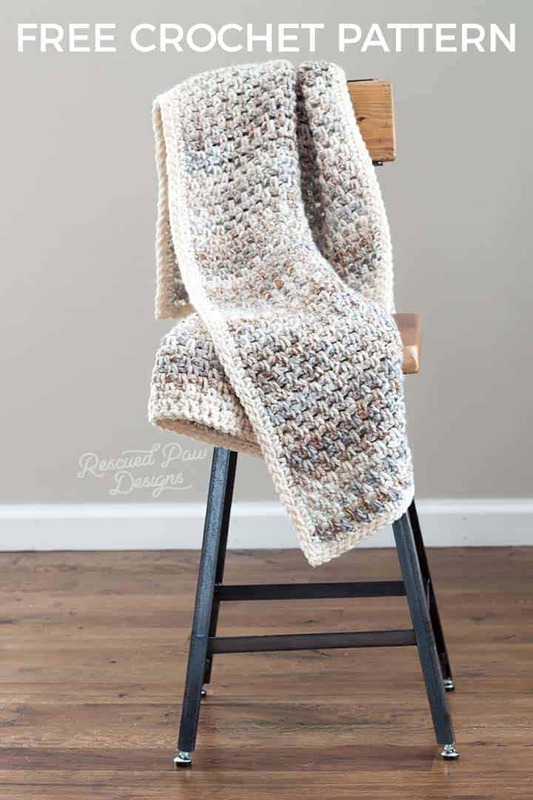 If you liked the Jane you will probably like the..
Alissa Crochet Throw Blanket Pattern! If you liked this pattern follow along with me on Facebook, Instagram or Pinterest (where I pin daily!). If you prefer video tutorials you can also find me over on YouTube! 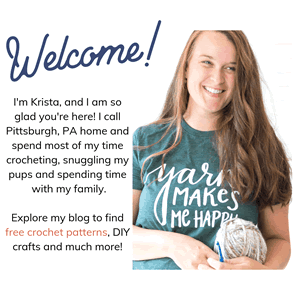 If you are looking for other crochet throws for beginners then my crochet blanket pattern archive is the perfect place to look. Have fun exploring! The Jane Throw looks like a perfect throw to make up in some of the Lion Brand Homespun that is in my stash. Looking forward to starting this project. Currently I am make the Ombre Wrap in a mystery shade of LionBrand Mandala (mill-end purchase w/o a label). Both finished projects will go to the Shawl Ministry at our church. I don’t understand how to do the border edging. Can you post a video on how to do it, especially the corners??! Thanks! I cannot find this Lion Brand yarn anywhere. Is there a comparable yarn to use? You are amazing!! I’m going to crochet some of your patterns and post them for you to see. Thank you so much!!!! I have started this and it is not looking as loose as yours. I am using a 9 mm hook, and been crocheting loosely. I even added 4 extra to my chain stitch so it would measure out right. Any suggestions? I would suggest trying a 10mm hook if you have one to see if that helps. How is your gauge? I am having the same experience as Molly, i’ve already used up a ball of yarn and the blanket is only 6.5 inches long. At this rate I am going to need at least another 2 balls of yarn. My tension looks to be about the same as yours. What is your gauge? Gauge is 1 single crochet, ch 1, 1 single crochet for every 2″ (inches). Do you do the border last? Yes, I worked up the border after I crocheted the blanket. 🙂 Happy Crocheting! I would like to try this in a chunky yarn which comes in 100g balls, do you know how many balls I will need? Thank you for any advice. Do you have a suggestion on the number of chains to use for a baby blanket? Yes you turn after each row. Krista, love this blanket. Does the Fossil yarn have pink in it? Can’t find it locally and before I order on line I need to know if it has pink in it. Thanks so much!! No it does not have pink in it. The colors are all neutral. How do I make my blanket lay even? Do I need to dry clean it? You can block it to get it to lay flat. This post about blocking may help with that. https://rescuedpawdesigns.com/2018/10/26/3-easy-blocking-crochet-techniques/ As for the care of the blanket I would follow the care instructions on the label of the yarn that was used.